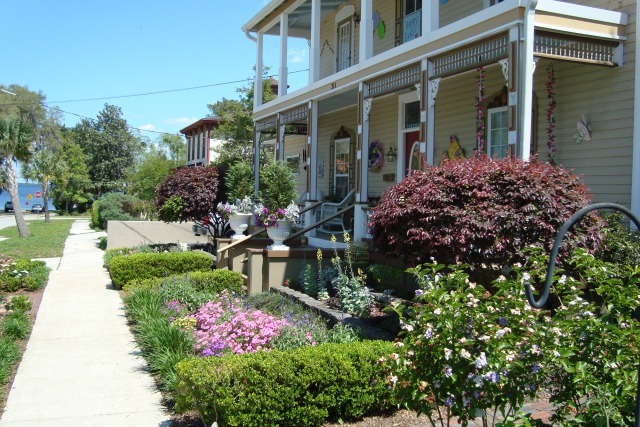 Green Cove Springs is a small town on the west bank of the St. Johns River about 28 miles south of Jacksonville. It's a nice little town of shaded streets and fine old homes in quiet neighborhoods on either side of busy U.S. 17, the main north-south highway through town. 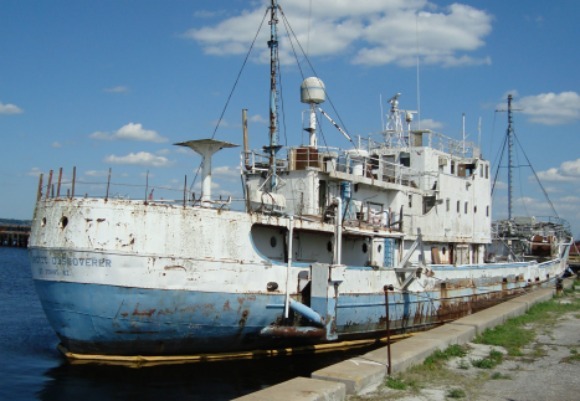 This quiet little place of about 7,000 people seems like an unlikely place to have located one of the U.S. Navy's largest mothball fleets at the end of World War Two. By 1947, about 600 destroyers, destroyer escorts and fleet auxiliaries were the most prominent sight in this riverfront town. The Navy built huge concrete docks projecting out into the river to dock the ships. By 1962, the fleet was largely gone, parceled out to other U.S. Navy locations and foreign countries for their navies. 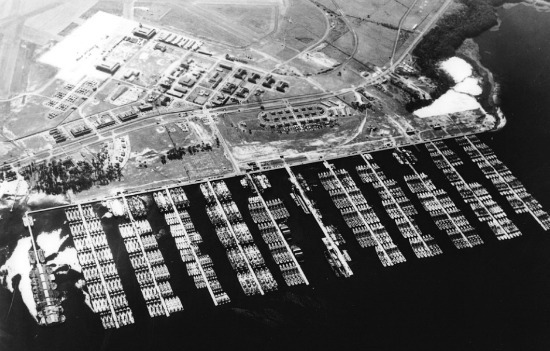 The docks remain, but with only a few modern yachts in a small marina setting along with older ships waiting to be purchased or scrapped. 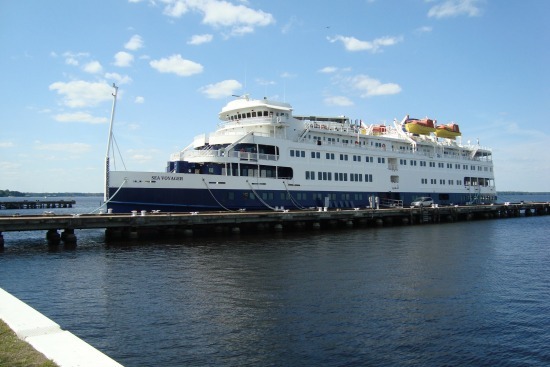 Only a few old timers like me remember when the huge fleet dominated the town and was the first sight you saw when coming from the east on the Shands Bridge over the St. Johns River on State Road 16. I like to ride my bike in Green Cove Springs. The neighborhoods between U.S. 17 and the river are very quiet and have plenty of sidewalks and safe streets for riding. I park my car downtown in a riverside park, take my bike off the rack and ride all over the place, including to the old Navy base for a look at what ships are currently there. There is a sidewalk along the busy highways that allows you to ride safely to the docking area on the river. The view above is of one of the many beautiful well maintained homes in the neighborhood along the St. Johns River. 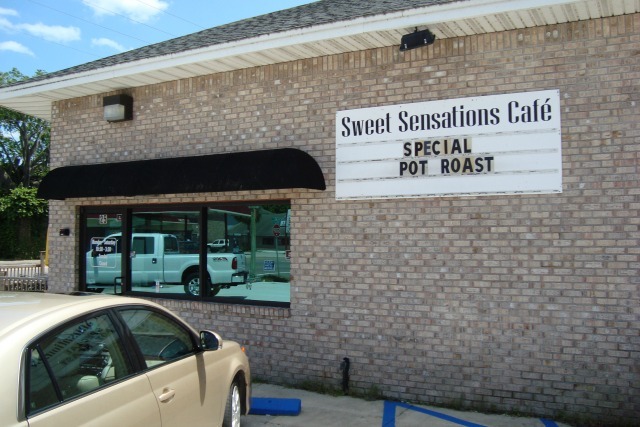 Sweet Sensations is in an unassuming corner building on busy U.S. 17 in downtown Green Cove Springs. It is a very popular place for lunches, and is open Monday through Saturday from 10am to 3pm. It has a small parking lot, but a city parking lot right next door has plenty of spaces if the restaurant lot is full. When you enter Sweet Sensations, you will see a board with the daily specials printed out in magic marker. There is a batch of menus there for you to read, then you place your order at the counter. 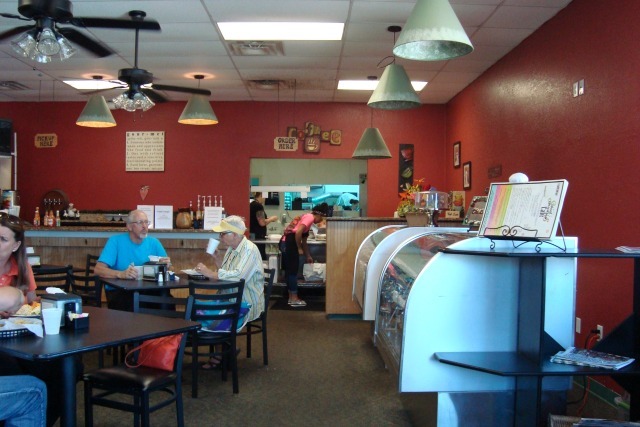 The usual fare is a good selection of soups and sandwiches, but they usually also have a hot lunch of some kind along with two or three soups. Off to the right is a glass case full of fresh desserts such as pastries, pies and cakes. The decor is very simple and family friendly. The hot special when I was there was pot roast with vegetables. It was very tasty, and came with boiled potatoes, carrots and a dinner roll. A drink was included in the price, but I had water. I also had a cup of delicious chili. Someone at the table next to me was enjoying a Reuben sandwich and said it was fantastic. His wife was having something called an Outlaw Chicken Salad Sandwich. She also vouched for its tastiness. The place had a nice lunch crowd when I visited at 130pm on a Tuesday. I will be sure to stop here again when I am in Green Cove Springs.